Welcome to Insulite Health! 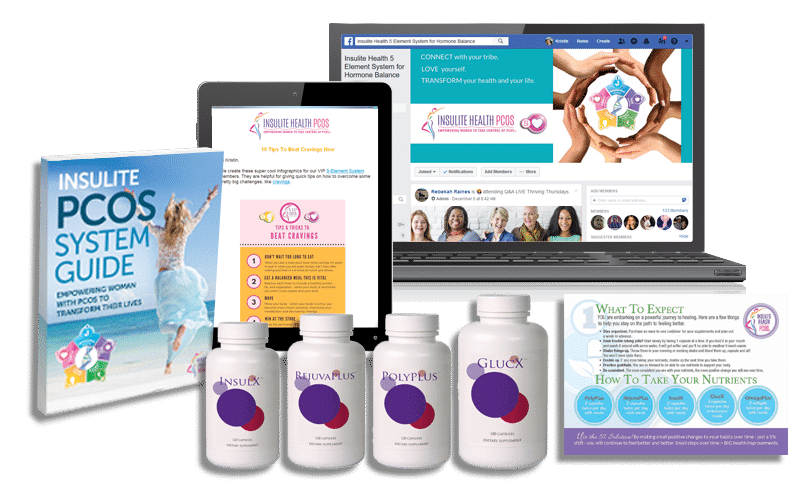 Insulite Health is an online platform dedicated to empowering women with PCOS to transform their bodies, their health and their lives. We refer to the e-commerce marketplace on the Insulite Health Platform as the “Insulite Health Shop.” If you visit or make a purchase or sale through the Insulite Health Shop through www.pcos.com or the related mobile app experience, then this Agreement is also between you and Insulite Health Inc. If you visit or make a purchase or sale through the Insulite Health Shop through www.pcos.com or the related mobile app experience, then this Agreement is also between you and Insulite Health Inc. collectively referred to as “Insulite Health,” “we,” or “us” in this Agreement. We encourage you to review this Agreement carefully. Any use of the Insulite Health Platform, including browsing www.pcos.com, shall be governed by the Agreement. If you do not agree to any of the Terms, you should stop using the Insulite Health Platform. Definition of Your Content. The Insulite Health Platform enables you to post materials, including without limitation photos, profile pictures, messages, and commentary. (“Reviews“). All materials that you post on the Insulite Health Platform will be referred to collectively as “Your Content.” You acknowledge and agree that, as part of using the Insulite Health Platform, Your Content may be viewed by the general public and will not be treated as private or confidential. License and Permission to Use Your Content. You hereby grant to us and our affiliates, licensees and sublicenses, without compensation to you or others, a non-exclusive, perpetual, irrevocable, royalty-free, fully paid-up, worldwide license (including the right to sublicense through multiple tiers) to use, reproduce, process, adapt, publicly perform, publicly display, modify, prepare derivative works, publish, transmit and distribute Your Content, or any portion thereof, throughout the world in any format, media or distribution method (whether now known or hereafter created) for the duration of any copyright or other rights in Your Content. Such permission will be perpetual and may not be revoked for any reason, to the maximum extent permitted by law. Further, to the extent permitted under applicable law, you waive and release and covenant not to assert any moral rights that you may have in Your Content. If you identify yourself by name or provide a picture or audio or video recording of yourself, you further authorize us and our affiliates, licensees and sublicenses, without compensation to you or others, to reproduce, print, publish and disseminate in any format or media (whether now known or hereafter created) your name, voice and likeness throughout the world, and such permission will be perpetual and cannot be revoked for any reason, except as required by the applicable law. You further agree that we may use Your Content in any manner that we deem appropriate or necessary. Ownership. We acknowledge and agree that you retain ownership of any and all copyrights in Your Content, subject to the non-exclusive rights granted to us in the paragraph above, and that no ownership of such copyrights is transferred to us under this agreement. Further, with respect to Your Content in the form of photos, and subject to Insulite Health product and user experience considerations for Insulite Health Business Purposes. “Insulite Health Business Purposes” means any use in connection with a Insulite Health-branded or co-branded website, application, publication or service, or any use which advertises, markets or promotes the Insulite Health Platform, the services or the information it contains, Insulite Health, or its affiliates. Insulite Health Business Purpose specifically includes the use of Your Content on the Insulite Health Platform in connection with features and functions offered by Insulite Health to our users that enable them to view and interact with Your Content (such as Sketch, View in My Room and the embed tool). Your Responsibilities for Your Content. By posting Your Content on the Insulite Health Platform, you represent and warrant to us that you have the ownership rights, or you have obtained all needed licenses or permissions from any necessary parties, to use Your Content in this manner. Limits. We reserve the right to edit, abridge, or remove Your Content, in whole or part, for any reason (which may include a reported violation of our policies. We reserve the right to edit, refuse to post or remove Your Content submitted by you for any reason without notice. We do not guarantee that we will publish Your Content. Definition of Our Content and Materials. All intellectual property in or related to the Insulite Health Platform (specifically including, but not limited to, our software, the Insulite Health marks, the Insulite Health logo, and Insulite Health buttons, badges, and widgets is the property of Insulite Health Inc., its subsidiaries and affiliates or its licensors (“Our Content and Materials“). Restrictions. Except as expressly provided in these Terms, you agree not to use, modify, reproduce, distribute, sell, license, reverse engineer, decompile, or otherwise exploit Our Content and Materials without our express written permission. Insulite Health’s permission to you for your use of the Insulite Health Platform expressly excludes commercial use by you of any information concerning product descriptions or professional listings for the benefit of another merchant. You expressly are prohibited from any use of data mining, robots, or similar data gathering and extraction tools in your use of the Insulite Health Platform. You may view and print a reasonable number of copies of web pages located on the Insulite Health Platform for your own personal use, provided that you retain all proprietary notices contained in the original materials, including attribution to Insulite Health. Other Offerings on the Insulite Health Platform. Purchase of Goods through the Insulite Health Shop. Insulite Health Inc. offer health related products and services for sale on the Insulite Health Platform. If you purchase on the Insulite Health Platform, your purchase is subject to the Insulite Health terms of sale. Third-Party Services. You may be provided the opportunity on the Insulite Health Platform to purchase services that are offered by third parties (collectively “Third Party Services“), including those offered by professionals registered with Professional Profiles on the Insulite Health Platform. The availability of any Third Party Services on the Insulite Health Platform does not imply our endorsement of the Third Party Services. WE ARE PROVIDING YOU THE INSULITE HEALTH PLATFORM, SERVICES, INFORMATION, PRODUCTS, PRODUCT DESCRIPTIONS, AND THIRD-PARTY CONTENT ON AN “AS IS” AND “AS AVAILABLE” BASIS, WITHOUT WARRANTY OF ANY KIND, EXPRESS OR IMPLIED. WITHOUT LIMITING THE FOREGOING, THE INSULITE HEALTH ENTITIES EXPRESSLY DISCLAIM ANY AND ALL WARRANTIES AND CONDITIONS OF MERCHANTABILITY, TITLE, ACCURACY AND COMPLETENESS, UNINTERRUPTED OR ERROR-FREE SERVICE, FITNESS FOR A PARTICULAR PURPOSE, QUIET ENJOYMENT, AND NON-INFRINGEMENT, AND ANY WARRANTIES ARISING OUT OF COURSE OF DEALING OR TRADE USAGE. You agree to fully indemnify, defend, and hold the Insulite Health Entities and their directors, officers, employees, consultants, and other representatives, harmless from and against any and all claims, damages, losses, costs (including reasonable attorneys’ fees), and other expenses that arise directly or indirectly out of or from: (a) your breach of any part of this agreement; (b) any allegation that any materials you submit to us or transmit to the Insulite Health Platform infringe or otherwise violate the copyright, patent, trademark, trade secret, or other intellectual property or other rights of any third party; (c) your activities in connection with the Insulite Health Platform or other websites to which the Insulite Health Platform is linked; and/or (d) your negligent or willful misconduct. If you have a dispute with Insulite Health, you agree to contact us at support@insulitehelath.com to attempt to resolve the issue informally first. If we are not able to resolve the dispute informally, then this section will govern any legal dispute that relates to the Insulite Health Platform or involves our services. Binding Arbitration. You and Insulite Health agree that any dispute, claim or controversy arising out of or relating to this Agreement or to your use of the Insulite Health Platform (collectively “Disputes“) will be settled by binding arbitration, except that each party retains the right to seek injunctive or other equitable relief in a court of competent jurisdiction to prevent the actual or threatened infringement, misappropriation, or violation of a party’s copyrights, trademarks, trade secrets, patents, or other intellectual property rights. This means that you and Insulite Health both agree to waive the right to a trial by jury. Notwithstanding the foregoing, you may bring a claim against Insulite Health in “small claims” court, instead of by arbitration, but only if the claim is eligible under the rules of the small claims court and is brought in an individual, non-class, and non-representative basis, and only for so long as it remains in the small claims court and in an individual, non-class, and non-representative basis. Class Action Waiver. You and Insulite Health agree that any proceedings to resolve Disputes will be conducted on an individual basis and not in a class, consolidated, or representative action. This means that you and Insulite Health both agree to waive the right to participate as a plaintiff as a class member in any class action proceeding. Further, unless you and Insulite Health agree otherwise in writing, the arbitrator in any Dispute may not consolidate more than one person’s claims and may not preside over any form of class action proceeding. Arbitration Administration and Rules. The arbitration will be administered by the American Arbitration Association (“AAA“) in accordance with the Commercial Arbitration Rules and the Supplementary Procedures for Consumer Related Disputes (the “AAA Rules“) then in effect, except as modified by this “Dispute Resolution’ section. (The AAA Rules are available at http://www.adr.org or by calling the AAA at 001 800 778 7879). Arbitration Process. A party who desires to initiate the arbitration must provide the other party with a written Demand for Arbitration as specified in the AAA Rules. The arbitrator will be either a retired judge or an attorney licensed to practice law in the state of California and will be selected by the parties from the AAA’s roster of arbitrators with relevant experience. If the parties are unable to agree upon an arbitrator within 7 days of delivery of the Demand for Arbitration, then the AAA will appoint the arbitrator in accordance with AAA Rules. Arbitrator’s Decision and Governing Law. The arbitrator shall apply California law consistent with the Federal Arbitration Act and applicable statutes of limitations, and shall honor claims of privilege recognized by law. The arbitrator will render an award within the timeframe specified in the AAA Rules. Judgment on the arbitration may be entered in any court having jurisdiction thereof. Any award of damages by an arbitrator must be consistent with the “Disclaimers and Limitations of Liability” section above. The arbitrator may award declaratory or injunctive relief in favor of the claimant only to the extent necessary to provide relief warranted by the claimant’s individual claim. Fees. Each party’s responsibility to pay the arbitration filing, administrative and arbitrator fees will depend on the circumstances of the arbitration and are set forth in the AAA Rules. Notice for California Users. Under California Civil Code Section 1789.3, California users of the Insulite Health Platform are entitled to the following specific consumer rights notice: The services are provided by Insulite Health Inc., 1121 13th St. Suite 125 Boulder, CO 80302 USA. If you have a question or complaint regarding the Service, please contact Insulite Health at info@insulitehealth.com or by writing to our mailing address. California residents may reach the Complaint Assistance Unit of the Division of Consumer Services of the California Department of Consumer Affairs which may be contacted in writing at 1625 N. Market Blvd., Suite S-202, Sacramento, California 95834, or by telephone at (916) 445-1254 or (800) 952-5210 or Hearing Impaired at TDD (800) 326-2297 or TDD (916) 322-1700. Export. The Insulite Health Platform is controlled and operated from our United States offices in California. Insulite Health software is further subject to United States export controls. No software for Insulite Health may be downloaded or otherwise exported or re-exported in violation of any applicable laws or regulations. You represent that you are not (1) located in a country that is subject to a U.S. government embargo or that has been designated by the U.S. government as a “terrorist supporting” country, and (2) listed on any U.S. government list of prohibited or restricted parties. Assignment. No terms of this Agreement, nor any right, obligation, or remedy hereunder is assignable, transferable, delegable, or sub licensable by you except with Insulite Health’s prior written consent, and any attempted assignment, transfer, delegation, or sublicense shall be null and void. Insulite Health may assign, transfer, or delegate this Agreement or any right or obligation or remedy hereunder in its sole discretion.